"Meine Tochter und Ich" is a light-hearted and sometimes sentimental comedy of family life in an affluent middle-class setting. Its basic premise, however, could quite as easily have been the starting point for an austere psychological drama indebted to Freud and Strindberg. 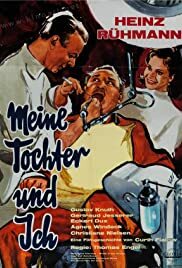 Dr Stegemann is a middle-aged widower whose life revolves exclusively around his twenty-one year-old daughter, Biggi, and his work as a dentist. Father and daughter work side by side, moreover, as Biggi is his dental nurse. She is a pretty young woman who closely resembles her mother, who died when she was an infant. They dance together at a cocktail bar, where it amuses Stegemann to lead strangers to suppose that he has a very youthful girlfriend. He does not know that Biggi has a boyfriend who wants to marry her. When he does find out, his jealousy drives him to try and prevent the match. Have no fear. Freud and Strindberg are never allowed a look in. "Meine Tochter und Ich" plays out in that bright and breezy cinematic world where troubles only exist in order to be overcome and everything turns out happily in the end. Along the way, there are a few mildly amusing moments, but there are also some rather awkward ones. Many a comedy successfully employs the idea of a grown-up child struggling against an over-possessive parent, it having been a theatrical staple for centuries, but the tone here seems to me misjudged. Dr Stegemann is not an obviously comic figure; Heinz Rühmann invests him with a sensitive and sympathetic side. The most uncomfortable scenes in the film are the sentimental ones, when he looks sadly at Biggi to the strains of a romantic waltz. 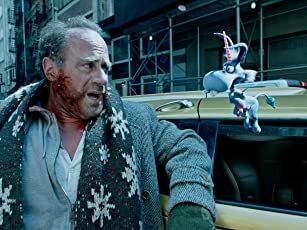 It may be absurd to take a piece of commercial light entertainment at all seriously, but I could not entirely dismiss from my mind those psychological issues. Any real-life Biggi is likely to have a difficult time coping with the rival demands of husband and father – and who would want Dr Stegemann as a father-in-law?